Apr. 7, 2019 12:12 a.m. The Green Party of Canada says the Nanaimo-Ladysmith byelection has the potential to put environmental issues top-of-mind for the general election. 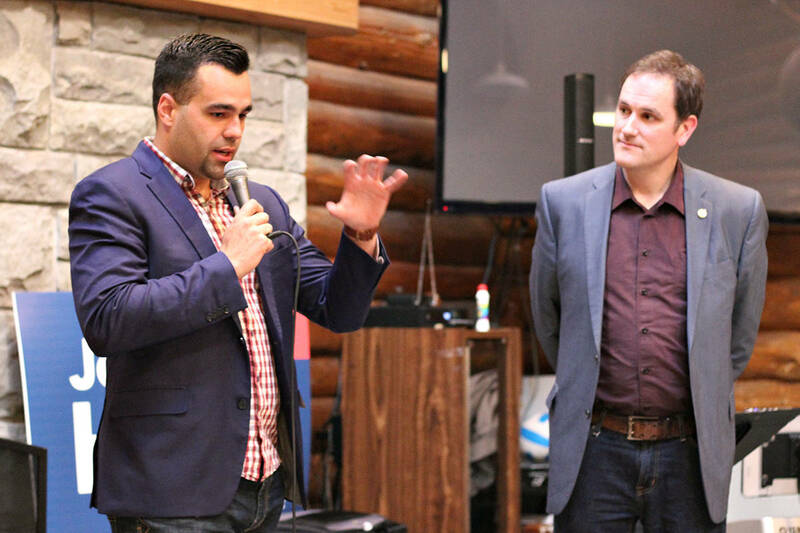 The Greens held a town hall on Saturday at the Beban Park social centre and much of the evening’s program saw candidate Paul Manly and leader Elizabeth May rally supporters with calls for climate action. Both May and Manly referenced last fall’s report from the Intergovernmental Panel on Climate Change that stressed that global warming must be held to no more than 1.5 C above pre-industrial levels. May said Canada should be thinking about what’s possible in shifting from “a fossil fuel economy” to solar, wind and geothermal energy, tidal power and run-of-the-river hydro. Manly said current governments are delaying climate action, which he said is not much different from denying climate change. Promoting compact fluorescent light bulbs and low-flow shower heads aren’t enough, he said. He said what appeals to him about his party’s Vision Green policy document is that it isn’t about a four-year political cycle, but about a sustainable future. May said she considers herself an MP not just for human constituents, but the ones that can’t vote, including the southern resident killer whales, salmon, eagles, forests and streams. If it’s a battle between life and money, “we have to take the side of life,” she said. “How, in anyone’s mind, is losing the next election more important than the threat of losing your children’s future forever? If that window closes on holding to 1.5, we don’t get another chance,” she said.